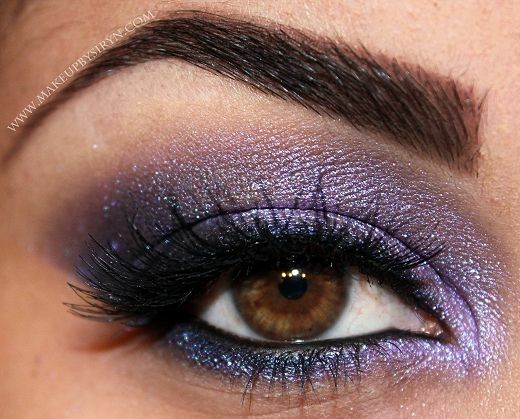 This shade is a "glowing" multi-hue lavender. 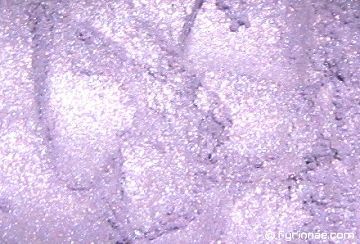 It's not pastel, but a semi-sheer sparkle shade much like Electric Stardust and Otherworld. Used over regular primer or blended over other shades, it is a great highlight or main color. But over a sticky base (or color base like black or white) it's a vibrant gleaming pop of color. Shown here by Siryn, and applied over black in the outer corners.